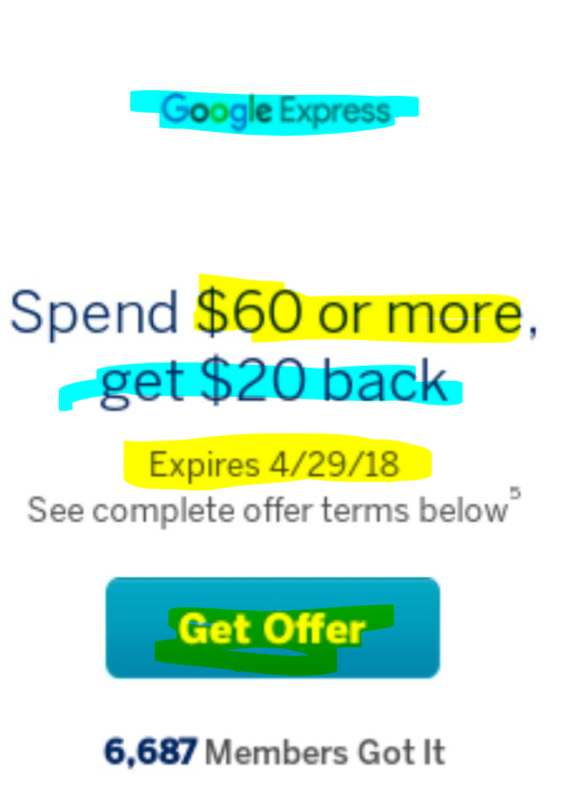 If you think you are going to spend at least $250 until the end of the year at Best Buy (online and/or brick and mortar store) and you have an American Express account, when you login to your AMEX account online, check under the “AMEX Offers” section for this promotion. 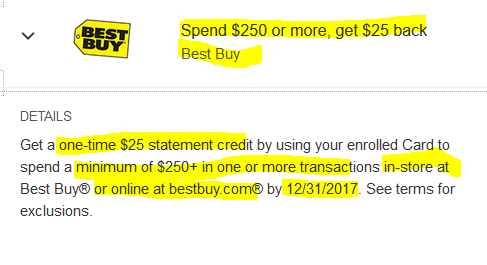 You get a one-time $25 statement credit you make a minimum of $250 in combined purchases at Best Buy’s website and/or brick and mortar store. This doesn’t have to be a single transaction, small purchases can add up to that. Make sure you activate the offer first in your AMEX account before you start buying. Activation is simple, you just press the “Add to Card” button. The offer expires 12/31/17. If you have an American Express credit card, check in your account whether you qualify for this AMEX offer. This is YMMV as not all offers are offered to all card holders. You may find an offer that gets you $25 back as a statement credit if you spend $250+ at Adorama online or in-store. First you must add the offer to your AMEX card (click the “Add to Card” button), and then make the purchases. The offer ends 6/30/17. UPDATE: One of our readers pointed out in the comments that you may also get an offer that gets you 2500 Membership Points instead of a $25 Statement credit. This is possible for AMEX cards with Membership Points. Here’s a larger size of the screenshot.